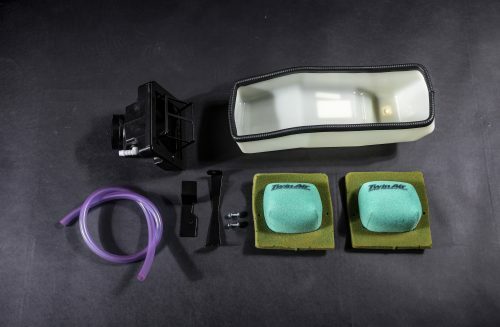 Based on our Auxiliary Tank Kit development, the storage kit is designed for riders that don’t need the extra fuel for extended range, but rather appreciate extra storage space. It consists of the storage box and airbox upgrade. The under the seat storage box has volume of 6 liters. Small airbox uses the OEM flange for air intake and provides great fit to the engine. 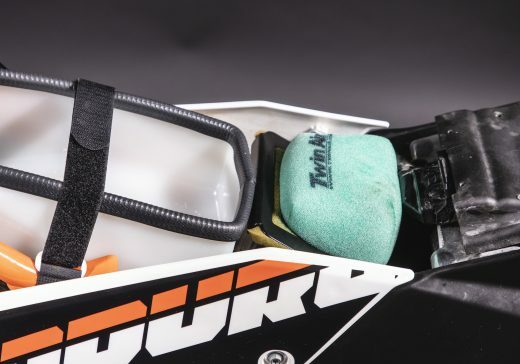 The foam filter made by TwinAir was designed specifically for our kit to ensure amazing dust prevention. The filter is easily accessible so replacement takes only few minutes. Foam filters are reusable, making them environmentally friendly. This solution also slightly improves the engine performance. 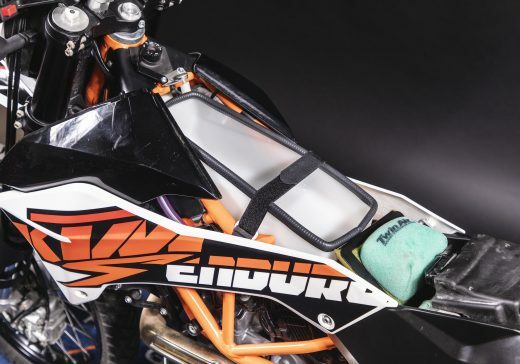 How does the KTM 690 storage kit works? What is included in the KTM 690 storage kit? The installation takes about 2 hours and is quite simple. Basically you have to take out the OEM airbox and replace is with our Storage kit. Please follow the install guide below.